Is it laziness? Stupidity? Lack of Business Acumen? Lack of Selling and/or Sales Prospecting Skills? What is it that prompts businesses and “sales people” to go to a prospective customer’s website and fill in the “Contact Me” page with a commercial about THEIR products and services. Not a week goes by where potential vendors to our small business clogs up our pipeline by going to our contact me page and fills it up with pre-fabricated junk about mailing lists, trades hows, travel programs, marketing materials, and of course cheap computer programming services in India. 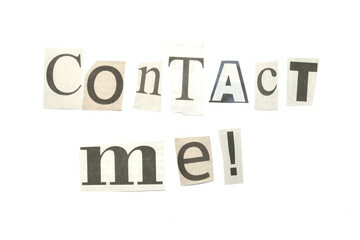 In my opinion, the “Contact Me” portion of a business’s website is off limits to anyone other than prospective customers who has come there looking for more information and to potentially buy something. It’s a total violation! And I’m not alone. I’ve been speaking with colleagues, clients, and other business leaders about this and it’s turned into an epidemic. Creates a Negative Brand Image – Leaving a sales message on a business’s contact me page creates a strong negative brand message. I know for me, I remember the names and am so offended, I would never, ever engage in any conversation with them. Generates a “Remove Me” / Block – If a prospective customer doesn’t like it, they can go and generate a “remove me” from your mailing list and / or a block which would end any legitimate chance of making contact with the prospect. Potential Legal Issues – Depending on your state or country, your company could get in legal trouble for unsolicited contact. If you are still reading my blog, you are probably wondering to yourself, ok, interesting… this potentially is not good if people in my company are doing this… but should I be doing something? Ask questions. Ask your marketing people. Ask your sales people. Seek information as to what your company is doing in terms of outreach. A formal report of current practices should either ease your mind or uncover some potentially destructive behaviors. Proactively communicate to people in your organization that this tactic is unacceptable and won’t be tolerated. It might take 2-3 different types of communication for the message to get through. If you find out there your organization has been doing this, then hold them accountable. Tell them that the practice won’t be tolerated and let them know if it happens again, there will be repercussions. If you find that people in your company have been engaged in these practices, you may want to offer a formal apology to organizations that your company may have offended. Doing this reassures those customers and potentially helps save your brand.